Good morning. I hope you had a fabulous week. I've been fairly busy here, finally getting caught up on reviews. And I've had some time to read a bit as well. I started off the week asking for some advice on what to read next for NetGalley Month. I had a couple memoirs as well as several thrillers/mysteries from NetGalley and I finally decided to move through the thrillers/mysteries since that's what I've been in the mood to read lately. Before getting to a NetGalley book, though, I read Predators of Darkness: Aftermath by Leonard Hilley. If you like sci-fi and dystopian thrillers, you need to check this out. I loved it and am very excited to have the next two in the series ready to read! Click on the title to see my review. As I mentioned above, I got caught up on some reviews. First, I reviewed Flesh and Bones, a legal thriller by Paul Levine. Then I reviewed Simply Genius! And Other Tales from My Life, a memoir by Ervin Laszlo. I'm now reading Murder in the 11th House by Mitchell Scott Lewis. I'm also reading Sabbath: Finding Rest, Renewal, and Delight in Our Busy Lives by Wayne Muller. That's my August book club selection. Next, I will probably try to fit in one more NetGalley book this month, and I need to finish A New Prospect by Wayne Zurl for a book tour later this month. Flesh and Bones is on my TBR shelves. 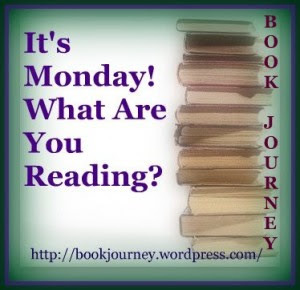 I hope you have a wonderful week and enjoy your books. Good sounding reads you have going! I just read one book last week - Harry Potter and the Deathly Hallows - and then we went to see the movie on Sunday - lots of fun!